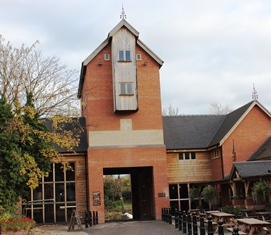 Joule’s Brewery – Discover Market Drayton, Tourism & Visitor Guide. The Brewery resides on Great Hales Street, with The Brewery Tap “The Red Lion Inn” resting adjacent to the Brewery. Joule’s run public Brewery tours on the first Wednesday of every month, with tickets available from The Red Lion bar. Evenings start at 7pm, and include Welcome speech, guided tour of the Brewery, Fordhall Farm pork baps and of course lots of beer sampling! Private tours available.